Also of interest to any publisher, or those curious about the publishing process, is Peter Regan’s follow-up post about why he switched to an A6 size and moved from Print on Demand to doing a print run. So the free version of D&D 5th Edition is out, and I fell strangely underwhelmed. Reason why? Well its probably because in the last four years or so I’ve picked up a small bookshelf worth of D&D Variants. 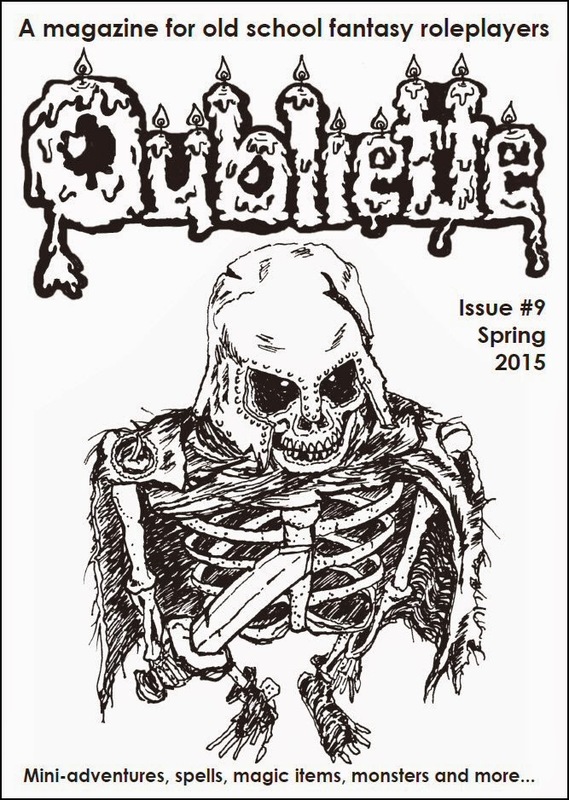 First D&D in its OSR forms was explored in great detail. Then after that was exhausted I moved onto modern forms; Pathfinder, Dungeon World (a story telling game not 100% mechanically related but definitely in spirit) and recently 13th Age was purchased. Pedants beware this not an exhaustive list of D&D variants, just one coloured by my personal experience. D&D Cyclopedia: I started off with red box Molday and quickly moved onto blue box expert so this has it all in one book (sans the illustrations, examples and solo tutorial) + the bits from Companion/Masters that I never got round to buying (because I’d moved to AD&D land by then). This is the book I wish Wizards of the Coast had republished even as a limited run, because my copy threatens to disintegrate every time I lovingly touch it. AD&D 1st Ed: If D&D was my early teens AD&D was my mid-late teens and was still being occasionally played into my early 20s. So lots of memories here, and even though I probably use OSRIC (see below) at the game table, the core three books of AD&D have a lot of nostalgic power. OSRIC (=AD&D) I love this big hardcover book. Its the AD&D 2nd ed I wanted back in the day, a simple reorganisation of the rules into one coherent whole. The combat chapter makes sense! Its strangely humble, saying its merely a rules index so modern publishers can put out AD&D compatible adventures under the Open Gaming License (which it is published under in its entirety), but I’d use it any day of the week as my AD&D at the gaming table. Labyrinth Lord (=B/X). A very clever clone of Basic/Expert in one slim volume. Made me realise that I’m not interested in that style of play however. Also available is the Adv. Labyrinth Lord supplement which works on the premise that back in the day we learnt with basic/expert and then simply added the bits (Classes, Monsters, Magic items etc.) we liked from AD&D. Which is certainly how I did it. Swords and Wizardry (=OD&D). The premise from this one is that its based of the Original white box D&D from the 70s with its supplements added, cleaned up and made comprehensible, I love this stripped down back to basics approach presented here. Finally a version of D&D that I can keep in my head! 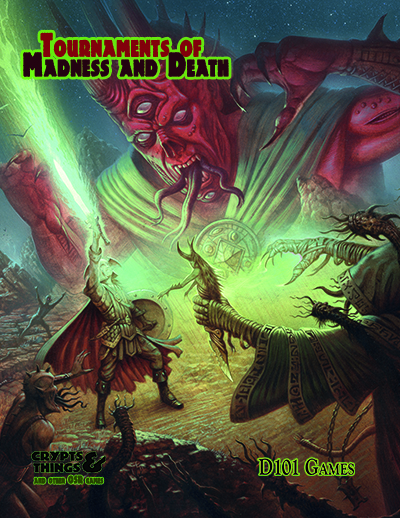 The S&W complete crams in a complete comprehensive version of D&D that is comparable to later big three book versions of D&D in one slim volume. Basic Fantasy (=B/X with bits of AD&D). Notable for two things. A more straightforward and clear interpretation based on the idea that you use D20 Systems Resource Document (the Open Gaming version of D&D 3rd Ed released by Wizard’s of the Coast) more closely, keeping its clarity of rules but building in the Old School flavour. Secondly if you see OSR rule sets as an almost Linux expression of D&D, Basic Fantasy is a distro that keeps most actively to that idea of it being free and community supported (yes I know S&W does but for me BF does it slightly better). These games use one of the above clones as a base and then takes it from there. Lamentations of the Flame Princess: LotFP is basically a Horror and Weird take on D&D, using Basic Fantasy as a base. I’ve seen this one grow up from its initial incarnation , with some very dodgy photo shop art, through its Grindhouse box set incarnation, were that art was largely replaced by the cream of OSR Artists old and new and the game was focused to razor sharp proportions, to the current high quality two book format Rules & Magic (available now) and Referee’s book (crowdfunded but still in production). I think its a classic game that takes the premise of old school D&D and runs out of the park with it, while cunningly never forgetting where it comes from. Woodland Warriors: Uses the Swords & Wizardry as a base, simplifies it and only uses D6s, and gives it a child friendly setting all in one small slim book. Its genius makes me weep. 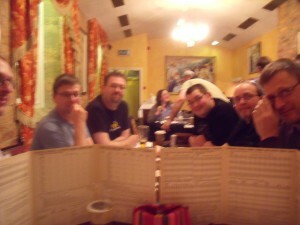 Pathfinder: I love Pathfinder, it does big book D&D and is clear and expressive while it does it. For me it comes packed with a big friendly DM I call “Bob” an impressive bear of a man, with a big bush beard and a deep friendly US accent that calmly guides me through the 1000s of pages. 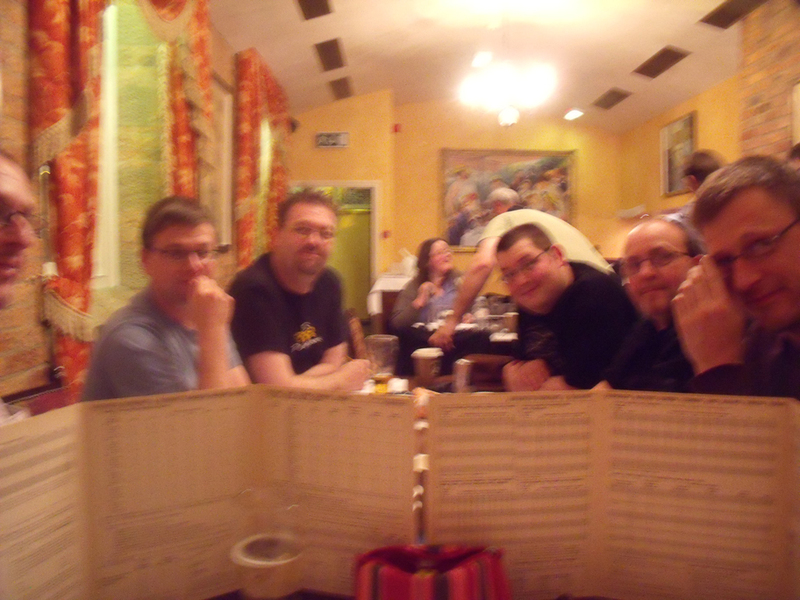 The online PRD was revelation when I sat there GMing it for the best part of the year in 2012 (and the reason I’ll be doing an online SRD for OpenQuest soon). Its just not the D&D that comes anywhere my preferred playing style (rules lite and pacy) and there’s no way that I’m memorising all the moving parts. But perhaps one day Bob will quietly persuade me to have another go, and it was certainly a variant of D&D that my players, all self proclaimed Kings of D20, highly respected. Dungeon World: I accidentally blundered into the Dungeon World Kickstarter one bored hot afternoon at work and a year later ended up with a hardback and a T-shirt. Its a version of D&D completely rewritten from base using the Apocalypse World storytelling game engine. I love it. Once I got my head round its terminology and structure its the fast pacey flexible game of D&D that I want to run and it errs on the side of Mega Gaming Fun for the players ( the sub-classes especially get a big up in the fun stakes). 13th Age: To be honest I’ve not read too far into it, but I like what I see so far. Like DW its a more story orientated game, but its not so much a rewrite from the ground up being based on the existing D&D 3rd edition SRD, simplified with storygaming mechanics/assumptions. Torchbearer: Make no mistake about it this is a cleaver and very focused book by the same people who bought you Burning Wheel and Mouse Guard. Presentation wise it reminds me fondly of AD&D 1st. However its fallen down the cracks because for me it asks me to think about Dungeon Crawling far too hard to be taken seriously. When its designer Thor Olavsrud says “This is a hard game” early on in the first chapter I started loosing interest in this book. Baz King of RPG Treehouse fame kept with it and his read through can be read on UKRoleplayers.com. If I was to have to keep on from each category (which to be honest given the mess my office has descended into may have to be the case) these would be my winners. Retro clone inspired: Lamentations of the Flame Princess (I’m taking it as given I get to keep copies of my own games so C&T survives the cull 😉 ). Alot of the OSR D&D blogs talk about Lovecraftian influcences on D&D and getting them into their games. Shane Magnus of Swords against the Outer Dark, is putting his money where his mouth is and producing a game heavy on the Lovecraft based off the Labyrinth Lord rules. Still in development but reveals certain aspects of it in this post on his blog. From the setting document I’m working on for Albion Adventures. Oh woe is the folly of mortal man! The last king of Erun, Opus the Pious, was deceived by the purple robed priests of the Hidden Gods. They claimed their religion was for the good of all and that their Gods where only hidden since they needed to hide themselves from the attention of the jealous and impotent Old Gods. So it seemed for all and hundreds flocked to their temples to unknown gods, and thrived under their worship. The poor raised their lives up from the gutter, there was food for all! The Hidden Gods blessed all with good fortune. So the King called a national day of celebration, upon which the purple priests said their Gods identity would finally be revealed. Thousands descended on the capital and in front of the Great Temple of Mysteries shouted out their adoration. Shouts of joy that turned to screams of anguish as the now red robed priests revealed their Hidden Gods before the assembled crowd. For there in terrible splendour stood the the Underlords of the Demon Dark. Great was the carnage that ensued that day as the assembled crowd became a mass sacrifice to the forces of Evil. The sky wept and great gates opened to hell its self in the dark deep places of Erun, forgotten underground ruins of the Ancients who predated the Kingdoms of Man and had mysteriously disappeared before their rise. The hordes of Hell streamed out of the dungeons and the surviving armies of man fought alongside the battalions of Dwarfs and the living forests of Elven kind. The war was grim and terrible, with almost catastrophic losses on both sides. Finally the Overlords where driven back to the Deepest Dungeons and sealed in by the Grey Elf wizards. In the aftermath of the Hell War, the Kingdom of Erun was in ruin, reduced to a handful of petty dukedoms, the countryside filled with bandits and monsters. Many of the old halls of the Dwarfs lie empty or have been taken over by foul orcs and goblins. The once great elf wood is a shadow of itself and the last few Elves either focus on its regeneration in hidden glades of power or bloody vengeance against those they perceive have done them wrong. In these anarchic times a new class has arisen in Erun society. That of the Adventurer, more than willing to take up sword and spell and discover treasure and horror in the dark places of the world. Ok after a triumphant game at Furnace, I’ve sat down and planned out what I’m going to be doing with Albion Adventures in the long term. 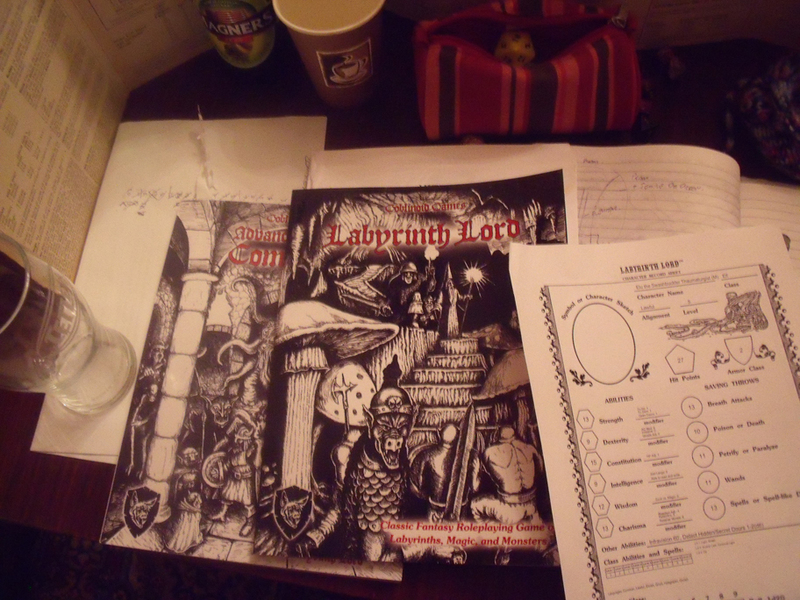 In short Albion Adventures is going to be D101 games line of adventures in the old skool British tradition using Labyrinth Lord as its base. I’m going to be using Labyrinth Lord with the Advanced Companion. It not only suits the way I play AD&D (which is Basic with the extra options from AD&D) but also LL is strongly branded and recognised amoungst the OSR and beyond. If people wander up to me and ask how they get the core system, I can point them in the direction of it. I got my print copy via Patriot Games which indicates its available via conventional distribution. Of course I’ll be making it clear that you can use certain ‘1st Edition systems with it’ and Osric/Swords and Wizardry compatiblity. I’ve roughly got the got the following planned. AA-UK1. The Furnace – write up of the Tournament game I’ve just run. AA-UK2. Bone Valley – my tribute to Keep on the Borderlands, through a gritty UK lens. A valley filled with old tombs and caves, and at its head Fort Boneguard, a seedy town from ancient times that has seen better days and is an adventurers hang out. A sandpit for levels 1-3? AA-UK3. Sorceror Under Mountain.– go to a mountain to get a long dead sorceror’s treasure. What could possibly go wrong? Setting: The Kingdom of Erun. My initial aim is to produce an internal doc that acts as a common setting for the modules, but when its bashed into shape I’ll release it. I want to keep this short and sweet hence the focus on a single kingdom. Inspiration is the old Pelinore setting, which was detailed in Imagine TSR UKs 80s magazine and the shortlived Games Master Magazine, with a dash of Titan, the world of Fighting Fantasy, (which I picked up in glorious A4 format along with Out of the Pit at Furnace 🙂 ). As the con (Furnace, Sheffield UK) approaches this weekend, I’m taking a slow but steady approach to writing the Furnace.